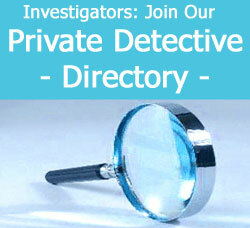 There are 3 main types of private investigator books that are available for interested readers. The first category includes educational books that detail the skills and knowledge a person will need in order to become a private investigator. The second variety includes continuing education materials for working investigators. The last type of detective literature includes fictional or non-fictional accounts of private investigators that are published for literary pleasure reading or research. This narrative explores the various types of literature that are available in the professional investigation industry. There are many home study courses which use books to help a beginner learn the fundamental aspects of the investigative arts. These programs allow a student to learn at their own pace in the comfort of their own home. Some even have the additional benefit of online supplementary materials, or interaction with an instructor, to help answer pertinent questions. Home study courses are still popular, but the majority of quality courses are now completely internet-based, since online information is easier to update and more interactive than printed materials. 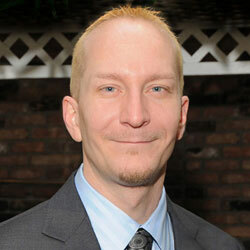 Online private investigation courses are certainly the next wave in affordable detective training. Many books are written exclusively for the detective industry and are available through major private investigation supply companies or private investigator associations. These books and magazines typically provide ongoing educational materials which can be handy to even the most experienced private eyes. Don’t forget that the investigation industry is very diverse and there is always new knowledge to be learned in one facet or another. Books allow busy investigators to catch up on the latest trends and techniques, without taking too much time away from a hectic work schedule. Many people simply enjoy reading detective fiction or non-fictional accounts of actual investigations. Crime and mystery stories are incredibly interesting and the literary portrayal of the private detective has always been a topic of great public interest. Detective books have been popular for almost 200 years and the legacy of many famous private investigators has endured to this very day in books, movies and television shows. 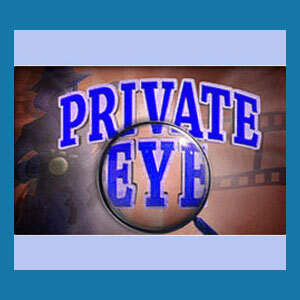 There is no doubt that the private investigator is a cultural icon. Study of the profession and their enduring image has captured the hearts and minds of would-be detectives, working professional investigators and imaginative people of all ages, for generations.